Picture this: a Makita/Dewalt cordless drill. Cut the top drill section off. Glue a dedolight-like focusing LED on top. You get the rough idea of the new Lowel GL-1 light. The new Lowel GL-1 is a clever, quick, self-contained, self-powered way to move your light source off the camera. 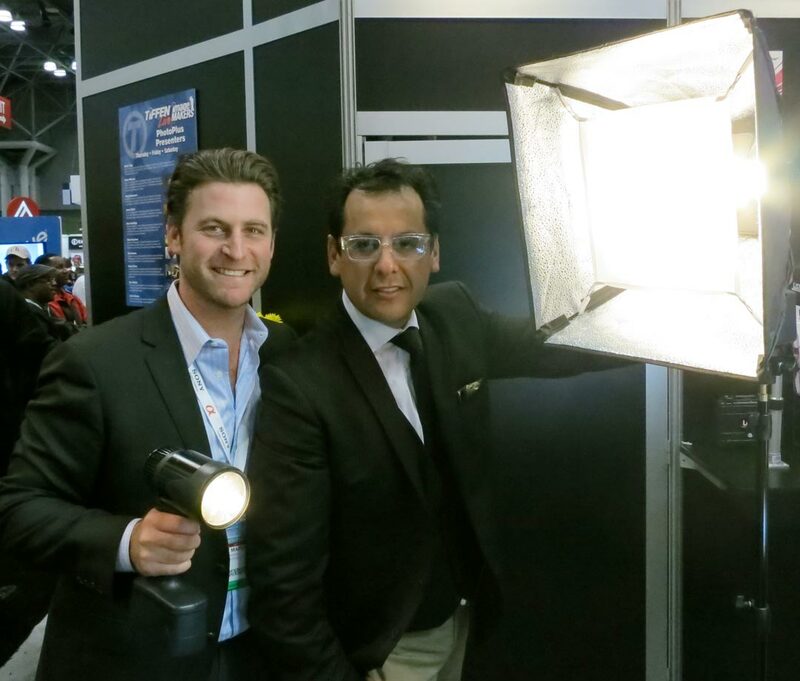 The GL-1 light was designed in conjunction with wedding photographers Brian Marcus (above, left) and John Solano (right). 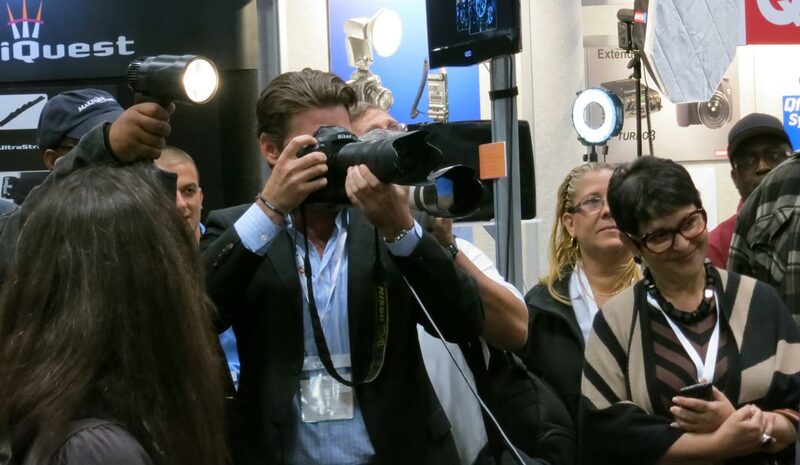 They were looking for new tools as digital cameras got better and faster. They were shooting weddings in lower light, and traditional flash was no longer satisfying. The Lowel GL-1 Power LED is a battery-powered, focusable and dimmable tungsten color LED light. The beam is even, from edge to edge, with no hot spots. It dims from 5-100% without shift in color temperature. Brian said that he has been getting about 5 hours of non-continuous lighting from the self-contained DC Power on a typical wedding assignment. News and documentary crews would probably get similar results. 2. Lock the light on and use the rear dial for intensity control. The GL1 can be used sun-gun style or with diffusion/soft-boxes attached.